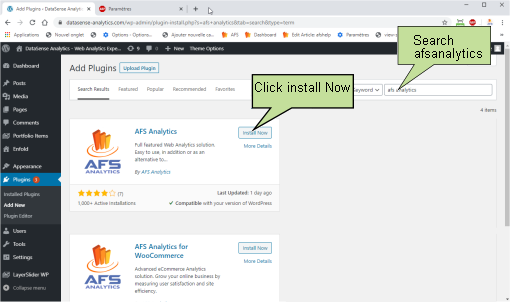 AFS Analytics provides a plugin for installing easy its analytics solution under WordPress. 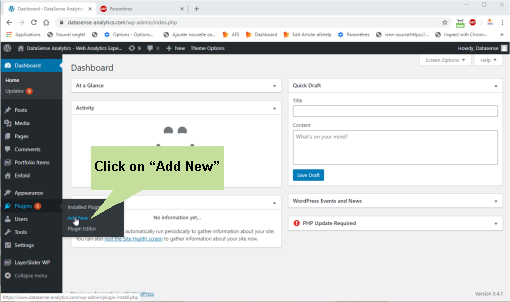 You can download the plugin on WordPress.org or from your WordPress Dashboard. 1. To start the installation your need login to your WordPress admin website. 2. Head over to "Plugins" on the left sidebar ( main menu) in your dashboard and select "Add new". 3. After a query the search box appears. Type "afsanalytics" into the search field and press the "return" key to submit. This should bring up some results. 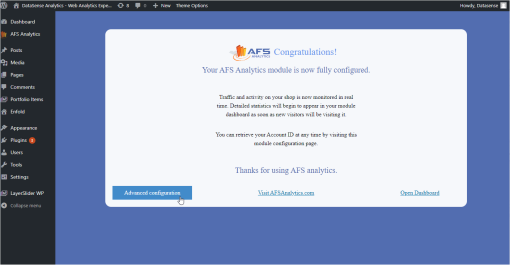 Select the AFS analytics plugin and click on the "install now" button. Alternatively you can download the plugin from WordPress.. Install it through the upload option under the Plugins "Add new" feature. 4. Click on "Activate plugin". 5. 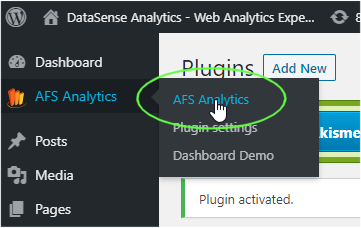 After activating the plugin, go to 'Settings' menu then select 'AFS Analytics settings' option. 6. Click the 'Click here' link to register and receive a "Website ID" by email from AFS Analytics. 7. 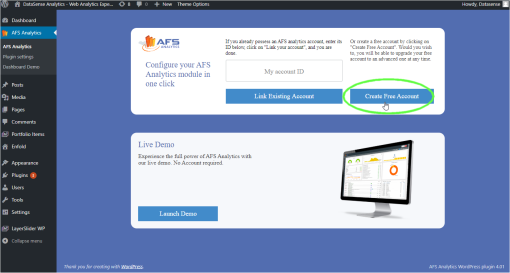 Type your AFS Analytics Website ID (8 digits) and click on 'Update' button. The plugin is now installed and activated on your WordPress website. 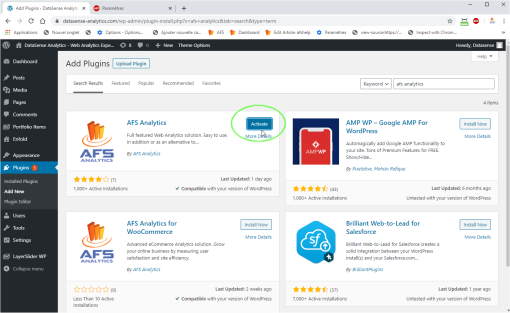 To check your website statistics select the option "AFS Analytics" on the WordPress admin panel main menu. 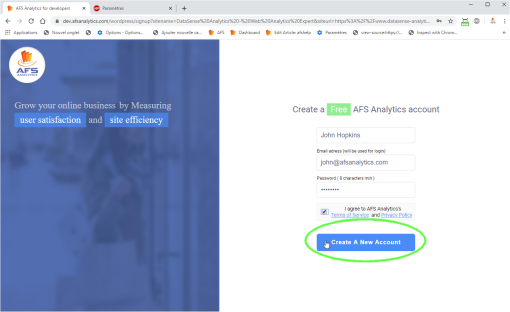 An alternative way is to login from the AFS Analytics website. If you selected a visible button, you can click on the button displayed on your website pages. By default, AFS Analytics uses the text inserted between the >TITLE< tags as the tracker/page name. However with the AFS Analytics plugin, you can define your own tracker/page title for each post. To do this, type the title you want into the "AFS Analytics tracker name" field.